Spotify just upped its parental leave policy, and it's one of the most generous in the nation. New moms and dads -- including parents who opt for adoption or surrogacy -- that work for the music streaming company can now take half a year off of work with pay, Spotify said Thursday. They'll also have the option to extend their leave unpaid until their child is 3 years old. Employees can ease back into working life with a part-time schedule and the option to work from home during their first month back. The benefits will also be available retroactively to any Spotify employeethat's had a child since Jan. 1, 2013. Workers that took parental leave under the old policy will get additional paid time off up to six months. Spotify's announcement follows other tech companies that have recently upped their family benefits in the U.S., including Microsoft (MSFT), Adobe (ADBE) and Amazon (AMZN), all of which now give five or six months to new mothers. But those policies offer fathers less time -- one to three months of paid leave -- while Spotify will be equally generous to both genders. Spotify has about 1,600 employees at offices around the world, and the company said its previous parental leave policies "varied greatly country by country." This policy was first implemented at its Stockholm headquarters, but now it will apply to all of its workers worldwide. A spokesperson declined to give specifics about its previous policy, but said the new program it marks "a very significant improvement on what the policy was in the U.S. before." Spotify "was born out of a Swedish culture that places an emphasis on a healthy work/family balance, gender equality and the ability for every parent to spend quality time with the people that matter most in their lives," HR chief Katarina Berg said in a blog post. American companies typically offer fewer family benefits than those in Europe, where paid parental leave is usually legally mandated. Some U.S. companies have started boosting their parental leave policies and other employee benefits in an effort to compete for talented workers. Spotify acknowledged that offering more paid time off doesn't mean workers will use it, but said it plans to encourage employees to take advantage of the policy. 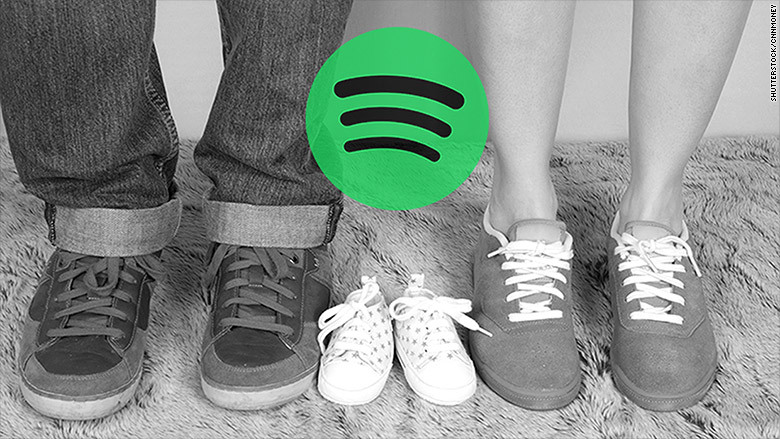 Make It Work, which advocates for paid parental leave, praised Spotify's announcement. "This is great news for Spotify's employees, and a sign of the times that it joins several other companies in pulling their workplace policies out of the past," co-founder Vivien Labaton said in a statement. The streaming service has more than 20 million subscribers around the world.